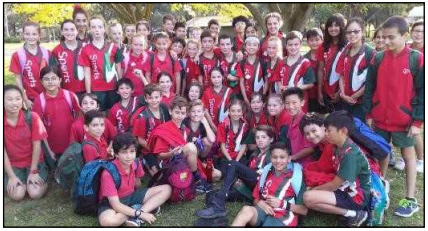 ​Seven children competed on Tuesday 13th June in the Manningham Division Cross Country which was held at the Yarra Valley Racecourse. Mia D (5th) and Amelie S (12th) earned the right to compete at the Eastern Metropolitan Regional Cross Country which will be next week at the same venue. Other credible performances included : Lara H (24th), Zac P (15th), Marina S (25th), Sam M (32nd)& Thomas H (44th). 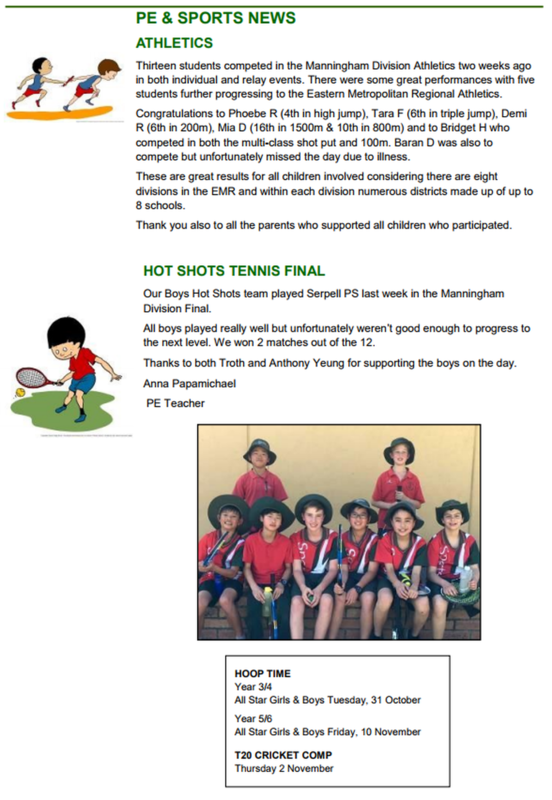 Well done to all students. A magnificent effort! Congratulations and well done to all the children who participated in the Doncaster District Cross Country at Ruffey Lake Park last Thursday. 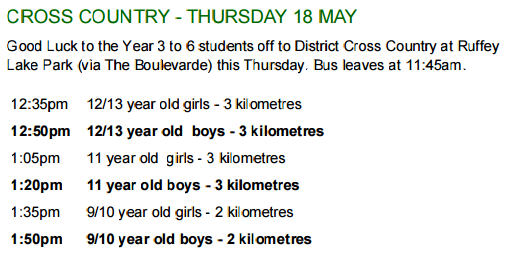 We had some great performances with seven children now in the Manningham Division Cross Country which will be held at the Yarra Valley Racecourse on Tuesday, 13 June. ​Congratulations to Thomas H—8th (10 boys), Mia D – 2nd (11 girls, Amelie— 3rd (11 girls), Marina—8th (11 girls), Sam M—6th (11 boys), Lara—4th (12 girls) and Zac P—1st (12 boys). Best of luck to all children at the next level. Overall, Donburn came third out of eight schools. A special thanks to the parents, Roxi, Kerrie and Chris for assisting as officials at the recording table on the day. Also thanks to all the other parents who came to cheer on all the students. 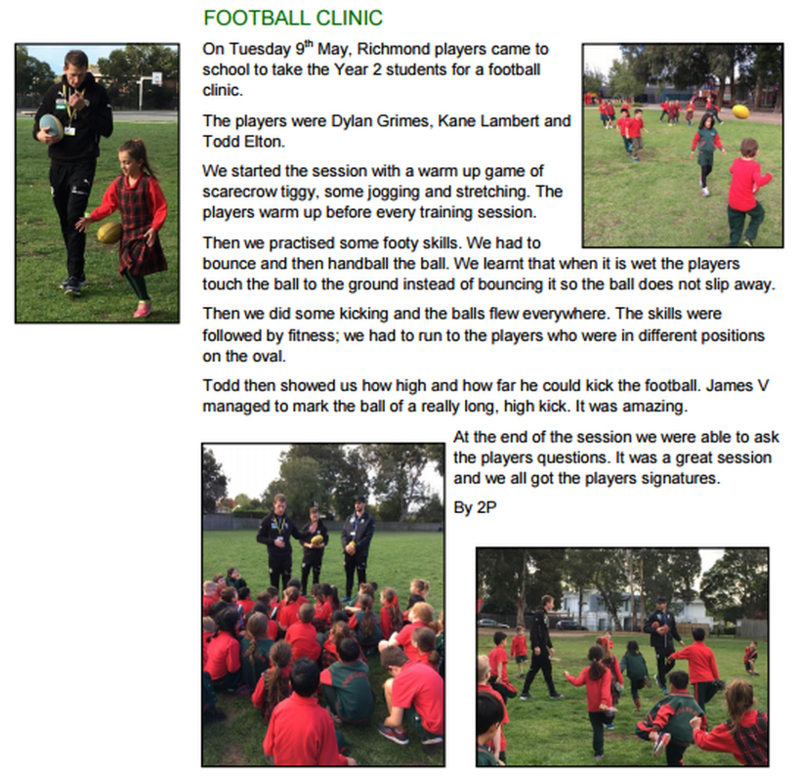 ​Congratulations to Lilly A and Olivia D (both in Year 6) who have progressed past the first trials for the Team Vic Girls Basketball team. Congratulations to Tanvi C (Year 3) who participated in the SSV Golf Tournament at Gardiners Run Golf Course. Tanvi continued her great success from last year and won the event by one stroke with a score of 62 and will now be competing in Regional finals in November. 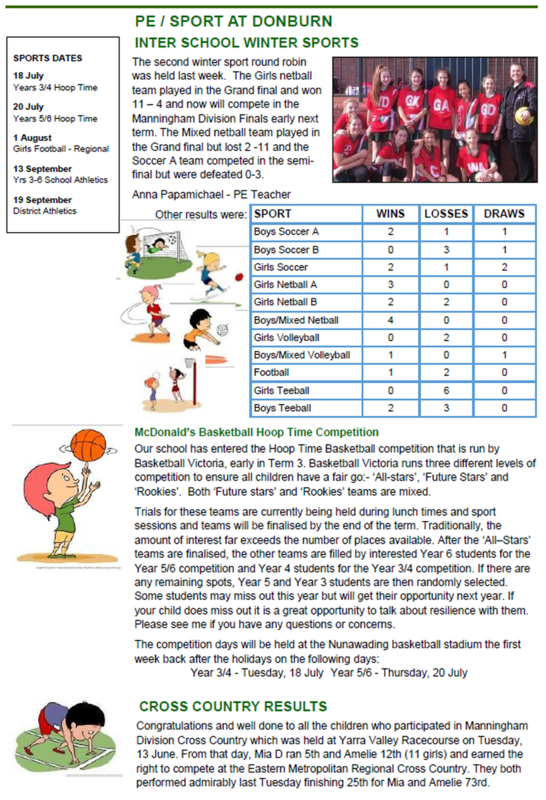 ​please see Ms Papamichael for further information as there are more tournaments in which students can participate. On the first of May, I represented Donburn Primary School at a Golf Victoria tournament at Gardiners Run Golf Club in Lilydale. There were four girls (including me) competing in the event. The course was very long and I had to start at the 6 th hole and I finished on the 5 th hole. They had us starting at different holes around the course so that we didn’t have to wait for other competitors. I came first with a score of 62. I won a Puma brand belt and some Golf Victoria golf tees. I felt proud to represent Donburn at this event. 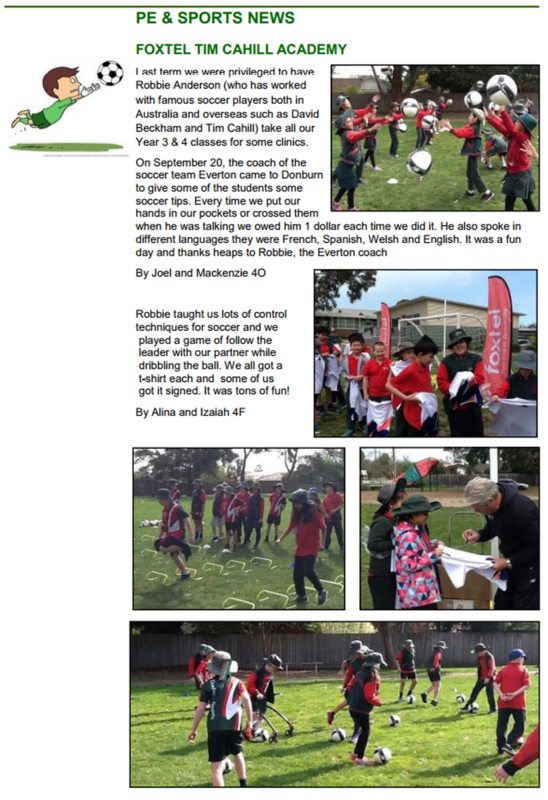 Thank you Donburn for supporting and encouraging me with my golf. With all of the support from my school, family and friends I have made it to the regionals! I compete in November at the Keysborough Golf Club. I am hoping to make it to the State & International competition.